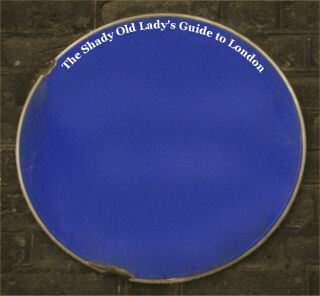 The site of one of London's lost icons of modern architecture. 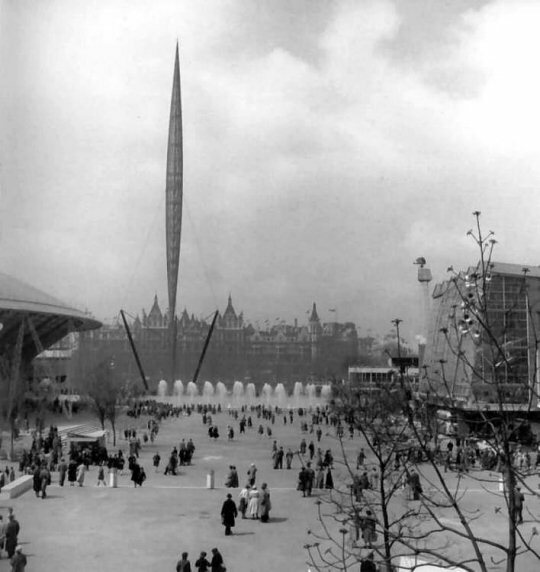 Description: In 1951, London's skyline was transformed, as part of the Festival of Britain, by the erection of one of the most striking structures ever built in this country: the Skylon. On this spot the Skylon was a 300 ft tower - an architectural and engineering marvel designed by two young architects Jacko Moya and Philip Powell still in their twenties, of Powell and Moya Architects. The architects' design was made structurally elegant and minimal by the brilliant engineer Felix Samuely. 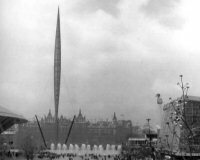 With a base 40 feet from the ground and the top nearly 300 feet high - the Skylon was more sculpture than building: it was part Zeppelin, part-rocket, part-minaret, and floated like an up-ended airship above the South Bank. Dramatic by day, Skylon was even more radical, luminescent and exciting night.